We offer a wide range of services including facials, massage treatments, body sculpting, naturotherapy and healing treatments using Thalgo and ayurvedic products. Ayurvedic massages builds stamina, reduces stress, relaxes the muscles, rids and protects the body against various ailments. Yoga is a system of exercise for physical, mental and spiritual well being. Threading is a very unique technique to shape eyebrows and remove unwanted hair from face with cotton thread. Brings out excellent shape of the eyebrows. Can remove even the smallest of hair. Particularly good for people with sensitive and allergy prone skin. Professional Yoga teacher, Qualified naturotherapist and beauty therapist Sumi graduated from Banasthali Vidyapith University in India. She has been a professional yoga teacher and practioner over the past 35 years and has trained under a number of notable yoga teachers including Swami Satyanand Saraswati. She has taught within schools, offices, Fitness First’s and within her private studio. She has been practising within Australia since 1991. 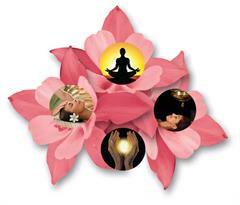 She is qualified in beauty therapy, natural therapies and specialised Ayurvedic massages from India and Australia. She is an expert in different healing techniques and helps advices an individual to find out their own self healing techniques. Get free quotes from Sumi's Mind And Body Harmony Centre and up to 3 similar businesses.